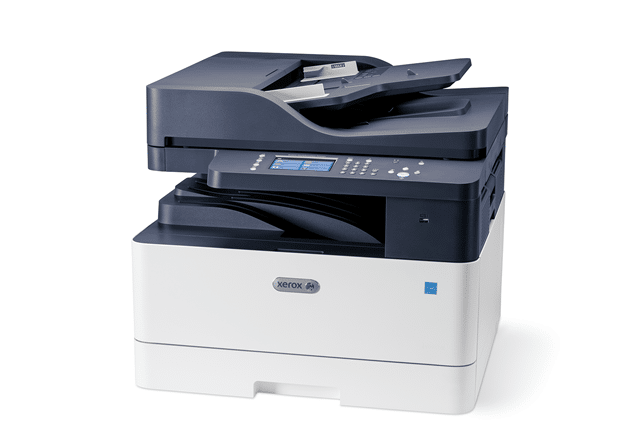 The Xerox B1025 mono copier has a small footprint and can fit right into many work environments. This copier replaces multiple devices with a single, compact multifunction printer that does more than all the others combined. With a printout speed of up to 25 pages per minute and print resolution of up to 1200 x 1200 dpi you can expect your documents will show exceptional quality with fast results. Scan to email, or scan-to and print-from a USB memory drive at the device. You can even print directly from the cloud with a few simple steps. Tired of constantly filling up paper trays? Print more for longer. An optional second paper tray lets you load an additional 250 sheets for extended interruption-free printing. And with an amazing duty cycle of Up to 50,000 pages per month you can expect a lot more from this affordable monochromatic device. Wouldn’t you like to conserve energy and reduce costs by combining the functions of a duplex copier, printer, colour scanner and fax into one affordable device? The Xerox B1025 monochrome multifunction copier is easy on the budget without sacrificing the features and connectivity you need to reach your full productivity potential.